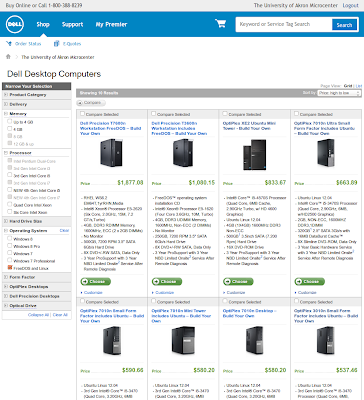 Dell offers a lot more Ubuntu laptop and desktop options for business customers, than what they offer to regular consumers. But you need to log into Dell Premier to see. Here is a new development to my lab computer purchasing process. 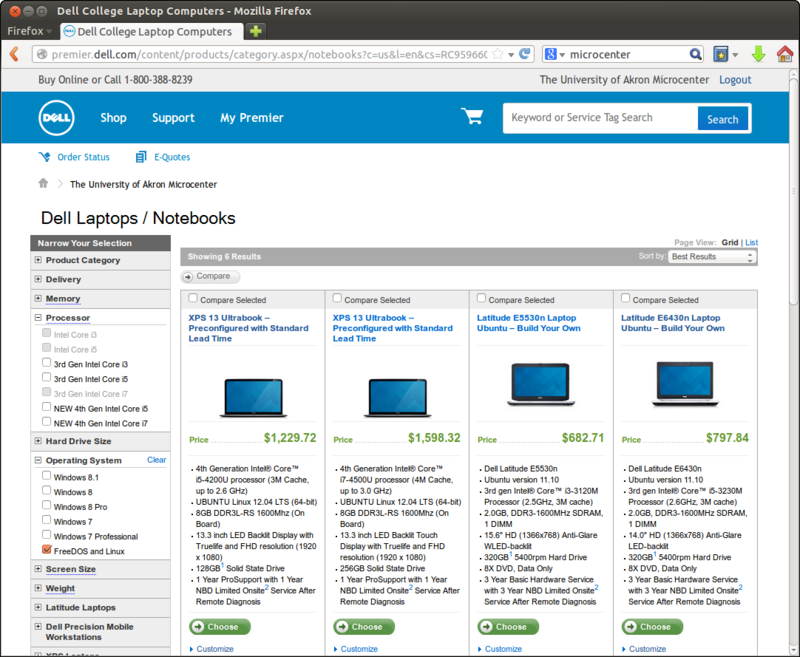 At Dell's Premier website for my university, I just found out that Dell offers a lot of laptops and desktops powered by Ubuntu, FreeDOS or RHEL. I can even customize configurations, e.g., upgrading CPU from Intel i5 (3rd/4th generation) to Intel i7 (3rd/4th generation). One of the option is interesting: Ubuntu 11.10 or 12.04 LTS - yeah, it's only available on older models. 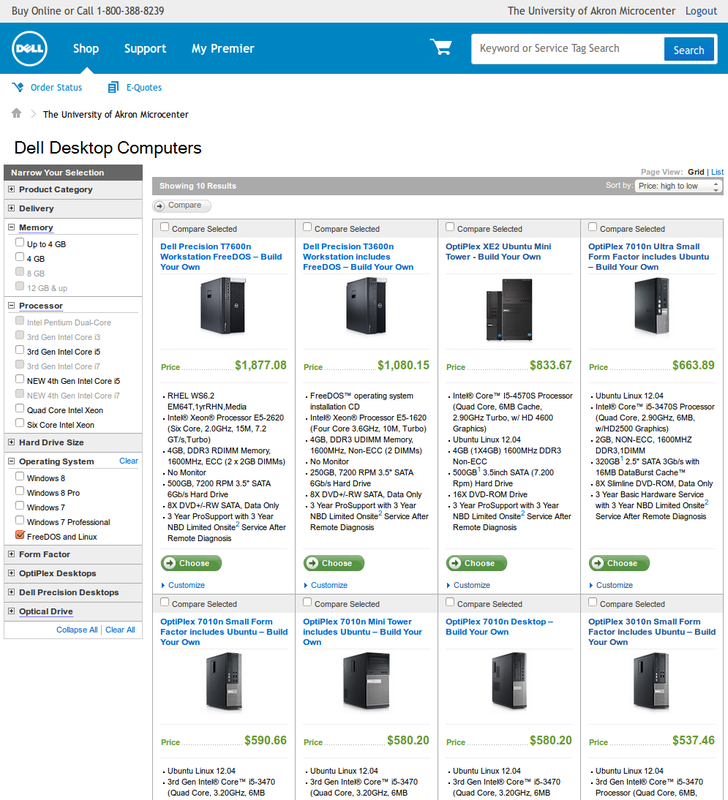 One thing I noticed is that Dell does not offer a lot of 4th generation Intel Core processors in business sections. Same thing for both Windows and Ubuntu laptops and desktops. I studied a bit on the price difference between computers of the same hardware but different OSes. Business version Windows is so costly, ranging from $100-$200. For a workstation of $1000, you pay around 10% to 20% more for that junky OS. 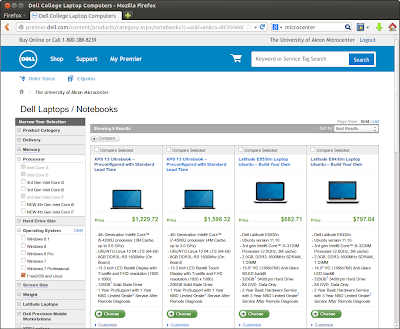 The exception is XPS 13, which is also a consumer product: Windows is only $50. In the end, I just don't understand why Dell only offers so many Ubuntu options for business (probably even premium business) customers. Why cannot regular consumers get them?